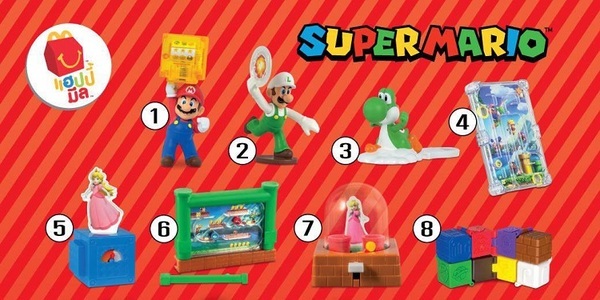 A new lineup of Super Mario Happy Meal toys are coming to McDonald’s locations across North America. According to reports, the toys were previously released in other regions, which makes sense given that there’s New Super Mario Bros. U artwork featured in two different toys. The 8 toys will be available as soon as the Incredibles Happy Meal toys wrap up.